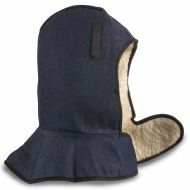 Winter Liner, Extra Long with Sheepskin-Like Lining by Jackson Safety/Kimberly-Clark. 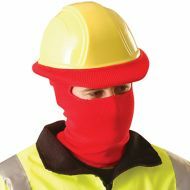 Winter Liner, Fits Over Hard Hat, Face and Neck, Red Color. 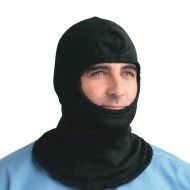 CarbonX® Non-Flammable Knitted Hood, Long Style, by Chicago Protective Apparel. 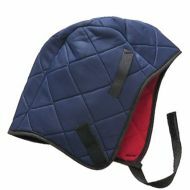 Winter Liner, Fleece Lined, Navy Color by Jackson Safety/Kimberly-Clark. 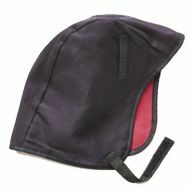 Winter Liner, quited navy nylon twill outer shell, red poly-fleece lining, by Jackson Safety/Kimberly-Clark. 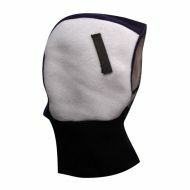 ARCTIC 2-in-1 Sport Style Fleece Liner by Jackson Safety/Kimberly-Clark. Silver/navy blue color.